I was last in Reno, Nevada twenty years ago and I can’t say I had a strong opinion of the place. It was just another forgettable generic one night stop over on a long drive to somewhere else. But I found myself back there twice in the past month. First, a young friend was leaving California for his home town in Connecticut and he wanted one last western nature adventure. Then a newly retired couple from the Los Angeles area wanted to kick the tires to see if Reno might be a good relocation spot. I enjoyed exploring Reno through these very different eyes. Reno is a Diane Arbus, Edward Hopper, Jane Jacobs Bermuda Triangle. 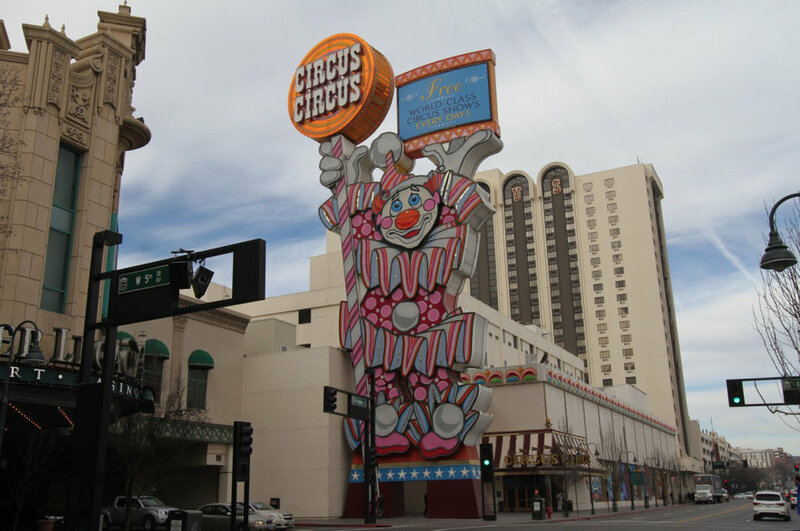 Whatever wonderful horrible thing you may crave or despise, Reno has several excellent examples on offer. Reno has a downtown core that’s been beaten to death for decades by the same forces that plagued most city centers. Whole blocks of historic buildings were torn down to make way for surface parking lots, giant hermetically sealed compounds, and massive parking decks. The exterior of these bunkers were either left blank or articulated with faux storefronts with inoperable doors and windows. These insular worlds were connected by glass tubes and underground corridors. There was no desire to afflict respectable visitors with street life. In other towns – perhaps yours – these were insurance companies or the headquarters of manufacturing concerns. In Reno, they were hotels and casinos. And lo and behold the small shops died, and rough trade lingered in the inky shadows. All the more reason to wall off your prestigious hotel and entertainment complex. I could be describing almost any city in the country. This happened everywhere. Eventually new hotels were built out on the edge of town where guests would never need to be burdened with a failing downtown core. The Reno-Sparks Convention Center is a particularly poignant example of a suburban roadside tourist facility. The “decorated shed” architecture and signage were lifted directly from Learning From Las Vegas. It’s an urban form that’s best experienced at sixty miles per hour. It simply doesn’t matter what these places look like on the outside so long as there’s ample free parking and air conditioning. This is what most people really want and developers know that. Drive out a little farther in any direction and the landscape atomizes into isolated pods. Clusters of garden apartment complexes, ribbons of single family homes, corporate light industrial parks, hilltop executive estates, and mini self storage facilities dot the terrain. Is it any different in your town? Probably not. This full spectrum from downtown to the fringe suburbs is what some urban planners call the transect. I always ask, “You mean someone planned this on purpose?” Yes. It’s all very intentional. 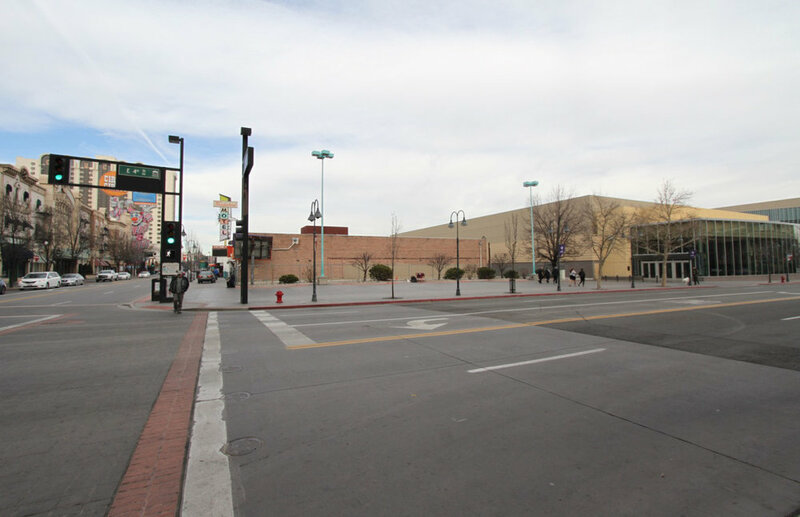 Reno leaders have finally figured out that a dead downtown is bad for the entire metro region. And Reno’s core, like so many other cities, is receiving attention from out-of-state developers who understand there’s pent up market demand for urban living. When private profits and public tax revenue are put on the table, suddenly all sorts of things are possible. Reno is restoring its surviving traditional buildings, investing in its urban public realm, and celebrating its riverfront, public parks and civic plazas again for the first time in decades. This isn’t simply part of plan to cultivate more tourist traps, but to create places for locals to inhabit and enjoy. Much of the land parallel to the main drag is being prepared for new infill development as smaller parcels are cobbled together. I don’t have any illusions of what kinds of structures these will be. Five story parking decks will occupy the center of each city block size complex and the edges will be wrapped in apartments and condos. There will be a couple of street level storefronts here and there. “Texas doughnuts.” Meh. That’s just what works in terms financing and code compliance these days. Anything more subtle is too hard. But it will be infinitely better that vacant lots and elderly motels in this context. Don’t let the perfect be the enemy of the good. Perhaps what captured the attention of city officials was the rebirth of the Midtown area immediately south of downtown. A new generation of young professionals started moving into what had been a neglected commercial corridor. 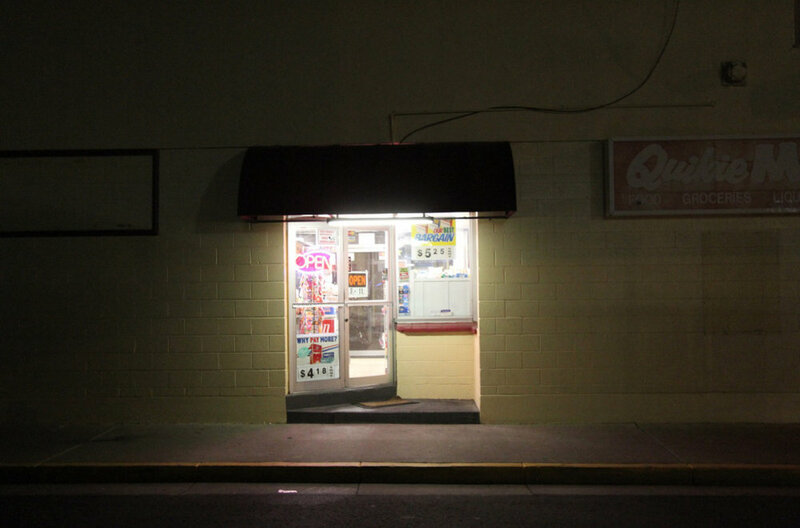 The architecture isn’t anything special, but it was small scale enough that individual family businesses could own and operate shops and breath new life in to the mini business district incrementally. Aside from the many older existing mom and pop shops, new establishments are opening up all the time. There are now great places to eat and gather for everything from a $5 lunch to a $200 dinner. That wasn’t true a few years back. The driver of economic change in Midtown is the existence of modest starter homes near urban amenities that have been rediscovered. There’s strong market demand for smaller homes with a patch of garden in tolerably walkable neighborhoods near a Main Street. The architects have already arrived with their Dwell Magazine aesthetic. I first began to understand this dynamic in Portland, Oregon some years ago. Halfway between the urban core and the fringe sprawl is a particular sweet spot for a lot of people. Off in another direction there’s an older suburban subdivision where I discovered the crunchy hippy quarter. If you’re the type who wants a half acre off-grid urban homestead that’s within bicycle distance of the university and downtown, Reno’s got it. This family paid $40,000 cash for their place a few years ago and they love their self selecting population of live-and-let-live neighbors. So, here’s my Reno epiphany: Almost every place in America has the same basic qualities. If you’re in Rockford, Illinois or Columbus, Georgia or Denton, Texas or Missoula, Montana the same buffet of potential options are on offer — give or take a few regional variations. There’s a medical center, a half-assed downtown, some kind of college, an interstate to a bigger city not too far away, and maybe a second or third tier airport. The future of America is all about salvaging what we already have piecemeal over the next century. My young friend is back in the suburbs of Hartford, Connecticut now. It’s not that different from Reno. My retired friends are back home in a remote suburb of Los Angeles where they will be staying for the duration. 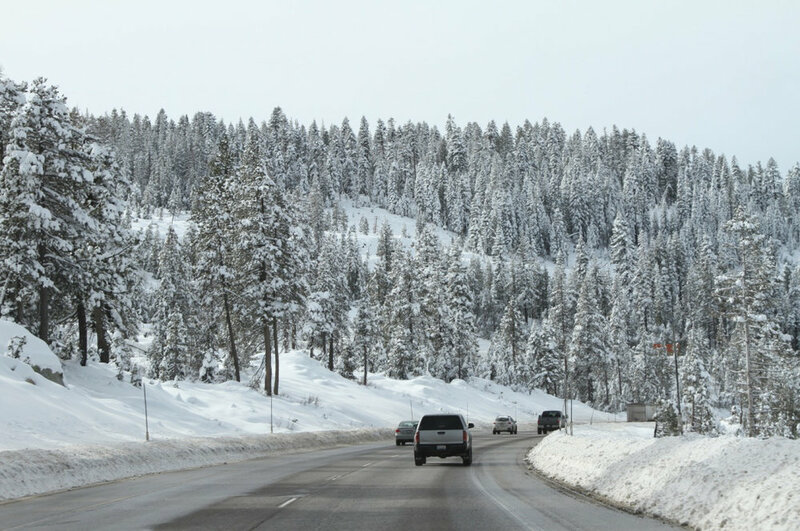 Their town is nearly identical to Reno, minus the casinos. This is where almost everyone lives: the good enough landscape of moderate means. It may not be Paris, but it gets the job done. We need to stop pretending there’s some perfect place out there and get comfortable with where we are. Your town isn’t a dress rehearsal. This is it, folks.